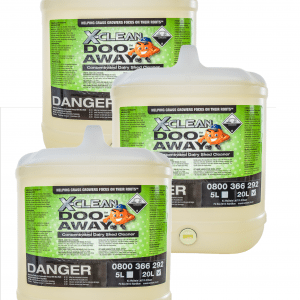 XClean’s Doo Away is a Concentrated Hard Surface Cleaner. 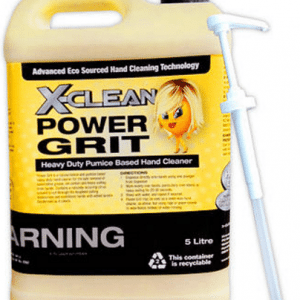 It is the best cleaner for hard surfaces on the New Zealand market. 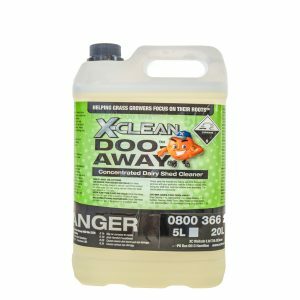 Simply spray the Doo Away on, leave for a short period of time, then hose off. 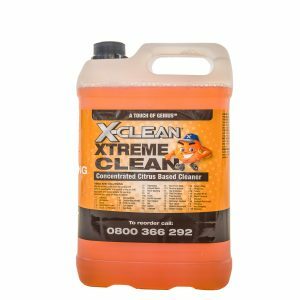 All of the cow muck, green slime, milk protein, and general gunge will just vanish. It’s that easy! 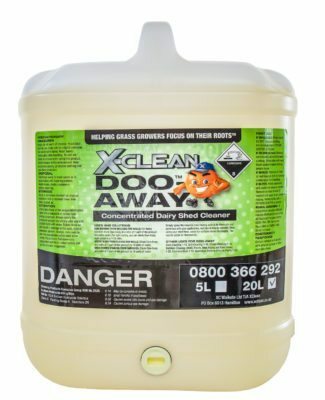 Every year we have customers tell us they didn’t think it could be that easy, but after using it they’re convinced it is the best dairy shed cleaner. 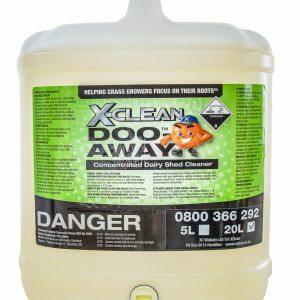 Doo Away is NOT a hypochloride product like other hard surface shed cleaners – it is alkaline based. This means that it does not smell of bleach, and does not deteriorate with age. Doo Away will be the same strength the day you open it, to the day you use the last drop. 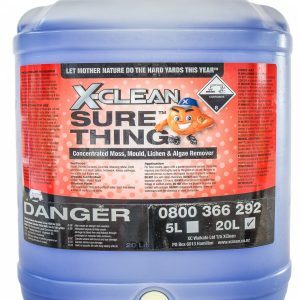 It can be easily stored at a dairy shed and cannot loose its effectiveness.